Since we started in 1998, we have suffered the loss of some very wonderful people who held positions on the board or who ran satellite shelters. The good works they did live on. They are missed terribly but I know they chose to cross the Rainbow Bridge to be reunited with their beloved ferrets and other pets. Carol was my mentor. 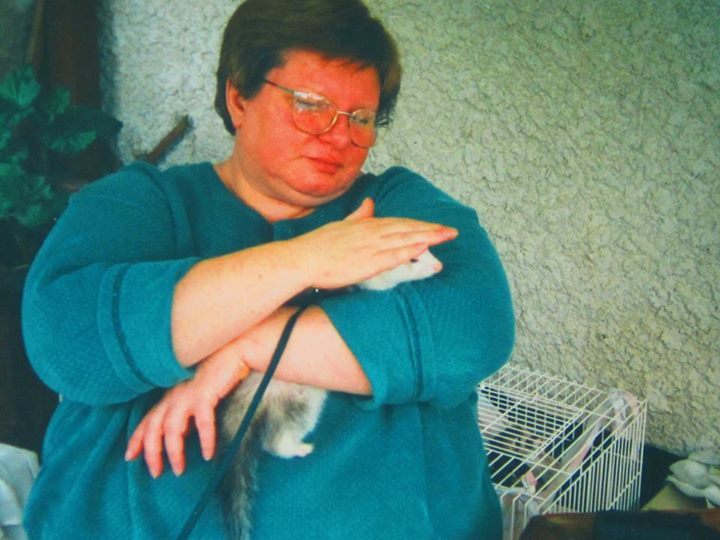 Back in 1998 when I got my first ferrets; Squeeks and Niles, Carol guided me through my learning curve. Together over coffee the idea of starting the MFA came to be as we realized there were many others like me who jumped in with both feet and no research! Back then we didn’t have easy access to the internet. She was loved by more than 20 ferrets and as each one left, they took a piece of her heart. Her favorite saying was “Ferrets – they are just like potato chips, you can’t stop at just one!”I take comfort knowing that she is weasel war dancing with her beloved furries across the Rainbow Bridge. Rest in Peace sweet friend. 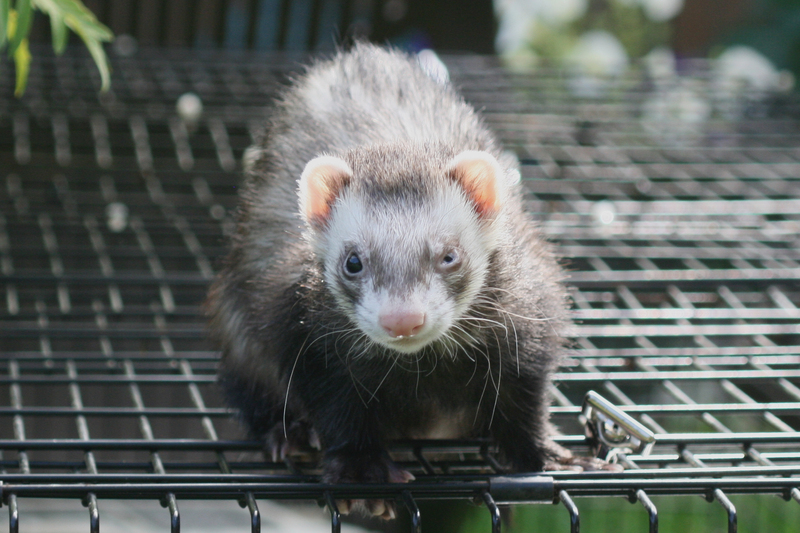 Bridget Funk became part of the Manitoba Ferret Association when she adopted a huge dark eyed white ferret from us. Within a month she was back; taking the older ferrets home to care for. After a quick chat with hubby Danny; Bridget opened up her home as the Steinbach Satellite shelter. Many Many ferrets entered her home; only a rare few found new homes. Bridget would fall hard and decide they had their furever home with her. Even as her health deteriorated Bridget would not give up the ferrets in her care. Danny took over the general care and Bridget heaped lots of cuddles and love on them from her spot on the couch. Bridget cuddled with her ferrets until she could no more and crossed the Rainbow Bridge to be with all the furries that had passed before her. She’s no longer in pain and right where she needs to be.